Do you know how John Chow – A successful internet marketer – made $757,232 (over two hundred million Naira) from just one business model in 2018? Do you know how most successful internet marketers in the world make money online? What is the source of income that has made most of them so famous? The simple answer is Affiliate Marketing. Affiliate marketing is simple: X owns a product. You sell the product to Y – and X pays you a commission based on the number of products sold. That’s all! A major advantage of being an affiliate marketer is that your income will be higher as an affiliate marketer targeting a global audience when you convert your earnings to Naira. Why do I recommend Affiliate marketing to you whether you’re at home without a job or you have a job but want some other source of income? You can start making money this month. This is not like Google Adsense where you have to wait for several months to make money. With affiliate marketing, you can start making money this month once you have proven techniques that work and you use them religiously. There is no limit to how much you can earn. As an affiliate marketer, your monthly earning is not stagnant like the 8 to 5 jobs where the salary is fixed. This month you can earn N120,000 and the next month up to N200,000. It can keep increasing depending on your effort. You can join as many affiliate program as you wish in order to increase your earnings. You don’t need a certificate to start. No one will ever ask for your qualifications in this business. As long as you can read and write English and you know what people are demanding, all you need to do is to make it available to them and watch your account grow. You can start right now even if you’re broke. This is not an offline business requires huge startup capital. You can get started with as low as N3000 and be on your way to the success of making millions of Naira. Your job is safe. You have nothing to worry about if you must keep your full-time job and still use this as a supplementary source of income. All you need to do is to dedicate few hours of work and get back to your daily routine. Be your own boss. I’ve always wanted this too. I don’t like the pressure of having to wake up every morning and be compelled to report to a boss in a firm or organization. I believe you feel the same way. Now you can choose when you want to work and when you want to catch some fun and watch TV. No compulsion. In addition to all these benefits…. …. 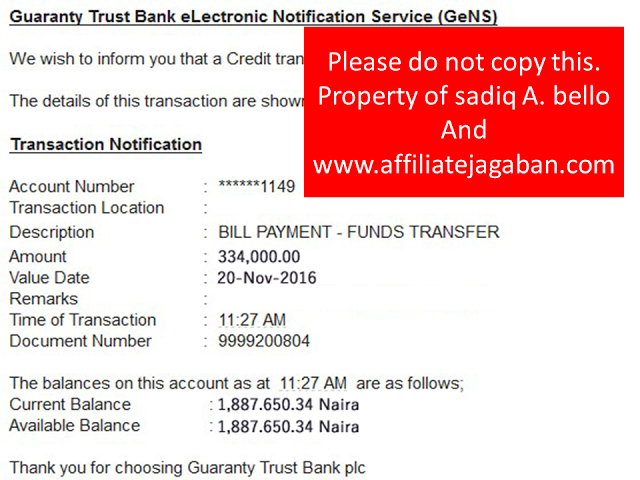 See Screen Short Of Deposits Of My Affiliate Comission To My Gtbank Account! See Live Video Of Me Login Into My Affiliate Marketing Account With My Weekly Earnings In It. I will teach you all you need to know about Affiliate Marketing and make money like me in my e-book The Affiliate Jagaban. Make N100,000 … N200,000 … N300,000 … or even more with this proven affiliate marketing technique! I have made hundreds of thousands of Naira in the past few years by practicing this technique that is not known by most people. And now in my 65-page e-book, The Affiliate Jagaban, I give you a step-by-step guide on how to become successful and make more money as an affiliate marketer. This is not your regular “how to make money with affiliate marketing” book. This is a “how I make money with affiliate marketing” book. 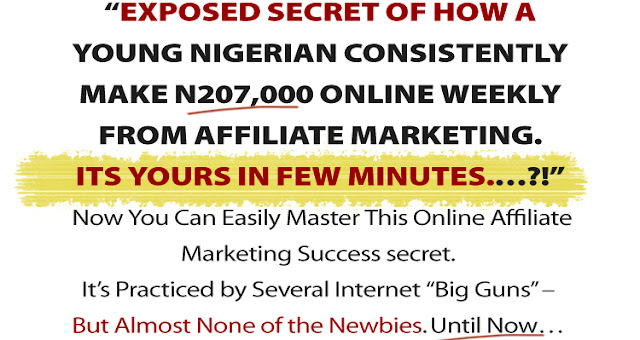 In this guide, I show you exactly what I’ve done to make a success of affiliate marketing here in Nigeria. No secrets. This Ebook will save you months and even years of research, trials and errors. Succeed before others. You can use Google to get information online. But that will take you weeks, months, or even years of research, trials, and errors to make it. With this Ebook in your hands, commitment is your only barrier. Most online information may not be applicable to Nigerians. This is an Ebook written by a Nigerian for Nigerians. All the techniques have been used and confirmed here in Nigeria. They all work! Avoid Pitfalls. Here, I’ve put together my experience to help you avoid pitfalls and fast track your journey to succeed as an affiliate marketer. This is what experts say about the book! Would you pay me N20,000 to help you make N150,000? I have made several mistakes and spent thousands of Naira to get to this point. But you won’t have to pay N10,000 … N20,000 … N30,000 to master the techniques in my book, The Affiliate Jagaban. That’s because it’s available to you now as a downloadable e-book for a small price of N3,000 only. Your satisfaction with The Affiliate Jagaban is guaranteed. That’s right. 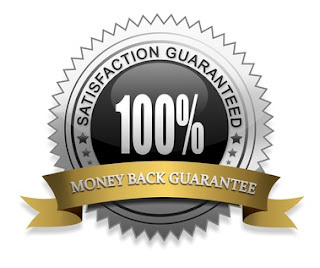 If for any reason – or for no reason – you’re not 100% satisfied with The Affiliate Jagaban, just let me know within 30 days of purchase. I’ll refund your N3,000 to you immediately. No questions asked! And you can still keep the e-book free. This way, you risk nothing. As soon as you start to practice the techniques in my guide, call me on the phone whenever you get stuck or require additional information. I’ll be glad to help you. I have tutored about 2000 Nigerians and I’m sure this guide will help you. 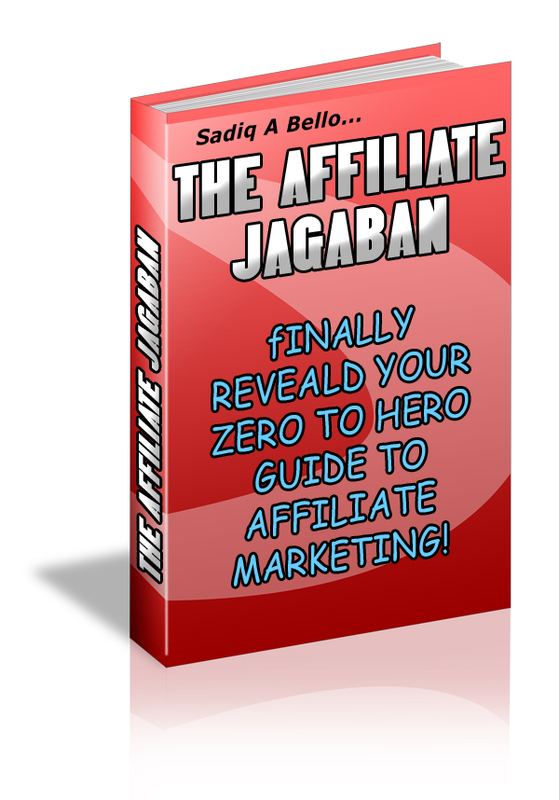 Click the button below to instantly get your copy of The Affiliate Jagaban on a 30-day risk-free trial basis. P.S. Order a copy of The Affiliate Jagaban now and get two books worth $90 (N28,800) for FREE. I’ll give you a FREE downloadable copy of Fast Traffic Secrets and Fiverr Killer. In the 87 pages of Fast Traffic Secrets, you’ll discover 10 underground methods of getting targeted traffic fast. Fiverr Killer will teach you 6 simple methods of how to make money with Fiverr in just 30 pages. Click the button below to order your copy of The Affiliate Jagaban and get the 2 books for FREE. Don't have an ATM card? No problem! You can still get your copy by bank deposit. You’ll receive your copy of The Affiliate Jagaban plus the two FREE e-books in the email address you provided. The three e-books (PDF files) will be sent as attachments alongside my skype id. You can also transfer your N3000 online to any of the bank accounts provided above. If for any reason you want to use someone else’s account to carry out the online transfer, please give me a call (on 08107672625) before you do so. This way I’ll be able to send the package to your own email address. Shoot me an email to ask@affiliatejagaban.com for more inquiries. 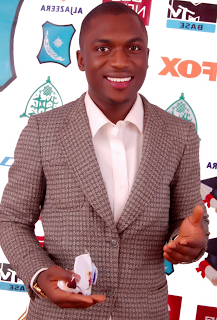 My name is Sadiq Ahmad Bello, and I’ve been in the internet business world for over half a decade. I research, learn, practice, and write about legitimate online business. I’ve been through several trials and errors but lately, it’s success, success, and more success. I’ve tried various forms of internet businesses ranging from mini importation to information marketing to freelancing and now, affiliate marketing. Because of my vast experience and success in affiliate marketing, I’ve been nicknamed the “Affiliate Jagaban” which means the “Affiliate Boss”. I’m an active member of popular forums on the internet. My username on Nairaland is importexpert. I’m a two-time nominee of the most influential Nairalander award of the year. My topics get up to hundreds of thousands of views and engagements within a short period of time because of my large number of followers. One of my aims in life is to be able to make anyone I come in contact with better than I met them. This is why I’ve been able to influence about 2000 Nigerians through seminars, webinars, and one-on-one consultancy.